Just like ethnic and gender diversity, generational diversity is also influencing workplace dynamics. Up to four generations comprise today’s workforce, and each brings its own set of experiences and expectations to the marketplace. In order to work better together, we have to understand one another. In this month’s podcast, we discuss how leaders can leverage the strengths of each generation when building productive organizational teams. Great leaders know that leadership is not limited to the marketplace; leadership begins at home. On this month’s podcast, Andy will conclude his conversation with his wife Sandra on the dueling demands of career and family. Today’s podcast will begin a two-part conversation about the important topic of leading at home. On this month’s podcast, Andy talks with Donald Miller about how to build a brand for your leadership using story. On this month’s podcast, Andy talks with Donald Miller, about this importance of creating a clear message. On this month’s podcast, we will conclude our conversation on Creating High-Performance Teams. On this month’s podcast, we’re celebrating 10 years together by revisiting our most downloaded episode, Creating High-Performance Teams. On this month’s podcast, Andy concludes his conversation with Dave Katz, CFO of Coca-Cola Consolidated, about what it means to accelerate culture within your organization. On this month’s podcast, Andy talks with Dave Katz, CFO of Coca-Cola Consolidated, about what it means to accelerate culture within your organization. On this month’s podcast, Andy concludes a two-part conversation on the importance of self-leadership. On this month's podcast, Andy begins a two-part conversation on the importance of self-leadership. On this month’s podcast, Andy concludes a conversation about the role of courage in leadership. On this month’s podcast, Andy continues the conversation about the role of courage in leadership. On this month’s podcast, Andy will begin a conversation about the role of courage in leadership. On this month's podcast, Andy concludes a two-part conversation on creating a culture of collaboration. On this month's podcast, Andy will begin a two-part conversation on creating a culture of collaboration. On this month's podcast, Andy will conclude a two-part conversation on the importance of uniquely better. On this month's podcast, Andy will begin a two-part conversation on the importance of uniquely better. In this month’s podcast, Andy concludes a two-part conversation about the complexity of purpose. In this month’s podcast, Andy concludes a two-part conversation with Clay Scroggins about how to leverage influence when you lack authority. On this month’s podcast, Andy talks with Clay Scroggins about how to lead when you're not in charge. On today’s podcast, Andy concludes a two-part conversation about only doing what only you can do. On today’s podcast, Andy will being a two-part conversation about only doing what only you can do. On this month’s podcast, Andy will conclude a two-part conversation on creating a culture of continual improvement. Thanks to Audible for sponsoring this edition. On this month’s podcast, Andy will begin a conversation about creating a culture of continual improvement. On today’s podcast, Andy talks with Horst Schulze, chairman and CEO of Capella Hotel Group, about what it means to create world-class service. On this month’s podcast, Andy talks with Horst Schulze, chairman and CEO of Capella Hotel Group, about what it means to create world-class service. In this month’s podcast, Andy reveals the two words that should be an essential part of every leader’s vocabulary. On today’s podcast, Andy concludes a conversation around the building blocks of a compelling vision. On today’s podcast, Andy begins a conversation around the building blocks of a compelling vision. On today’s podcast, Andy concludes his conversation with Glen Jackson, the co-founder of Jackson Spalding, about what it means to be a preeminent organization. On this month's podcast, Andy talks with Glen Jackson, the co-founder of Jackson Spalding, about what it means to be a preeminent organization. In this month's podcast, Andy concludes his conversation about how to create high-performance teams. In this month's podcast, Andy talks about how to create high-performance teams. On this month's podcast, Andy explains why challenging the status quo is a fundamental mandate for every leader. On this month's podcast, Andy will answer questions from our podcast listeners. In this month's podcast Andy interviews his mentor, Charlie Renfroe, about confronting challenges and maintaining trust when things don't go as expected. On todayâ€™s podcast, Andy concludes his conversation with author and CEO Cheryl Bacheldor on how to make bold decisions that drive superior performance results. On todayâ€™s podcast, Andy starts a conversation with author and CEO Cheryl Bachelder on how to make bold decisions that drive superior performance results. In this month's podcast, Andy explores the best, most effective leadership principles learned in the first 20 years of the organization. In this monthâ€™s podcast, Andy explores the best, most effective leadership principles learned in the first 20 years of the organization. On todayâ€™s podcast, Andy will continue his conversation with Frank Blake on organizational vision and how to get things done. On todayâ€™s podcast, Andy talks with Frank Blake, former Chairman and CEO of Home Depot, on creating and communicating vision for your organization. On todayâ€™s podcast, Andy will explore an easy and effective way to delegate. On todayâ€™s podcast, Andy will explore what it takes to be a bold leader. On todayâ€™s podcast, Andy will explore a question that every leader should ask. On todayâ€™s podcast, Andy will talk about creating a staffing system that will liberate your organization. On todayâ€™s podcast, Andy will explore how to maintain a healthy level of tension in your organization. On todayâ€™s podcast, Andy will explore the dangerous desire for autonomy. On todayâ€™s podcast, Andy will explore what happens when a key staff member leaves the team. On todayâ€™s podcast, Andy will continue to explore the idea of Keystone Habits through an interview conducted by Andy with Charles Duhigg. On today's podcast, Andy will explore a question that can revolutionize how you make decisions. On today's podcast, Andy will explore an important principle that too many leaders selfishly ignore. On today's podcast, Andy will talk about habits that can change your organization. On today's podcast, Andy will explore how your leadership can last beyond your lifetime. On today's podcast, Andy will tackle the challenging world of performance evaluation. On today's podcast, Andy will explore a challenge that every leader faces and very few ever escape. In today's podcast, Andy will explore how to lead when you're not in charge. In today's podcast, Andy will explore how to create a meeting structure that leaders look forward to. In today's podcast, Andy will talk to an exceptional leader about a challenge that far too many leaders face alone. In this podcast, Andy talks about an approach to leadership that will help ensure that the bigger you get, the better you get. 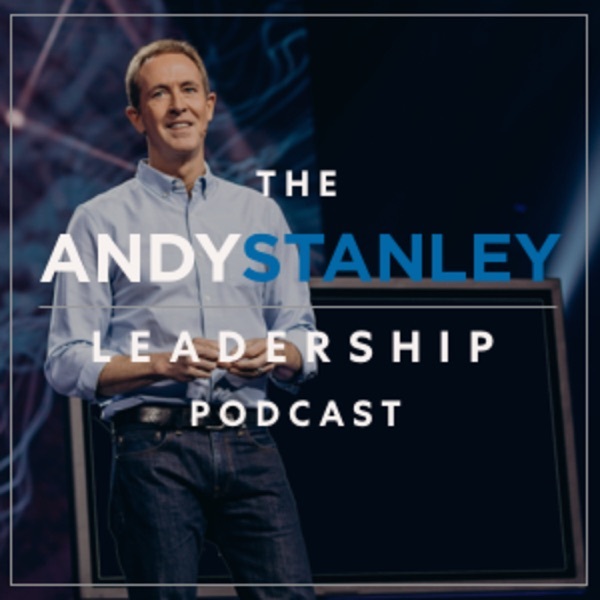 In this podcast, Andy talks about one of the most important aspects of the life of a successful leader. In this podcast, Andy concludes the discussion with a next generation leader about a question that all leaders need to ask. In this podcast, Andy talks to a next generation leader about a question that all leaders need to ask. In this podcast, Andy concludes a three-part conversation around the importance and power of team. In this podcast, Andy continues a three-part conversation around the importance and power of team. In this podcast, Andy kicks off a three-part conversation around the importance and power of team. In this session, Andy discusses the importance of crafting a culture for your organization. In this session, Andy discusses a principle that will help any organization grow. In this session, Andy explores the importance that trust plays in any organization. In this session, Andy discusses the challenge of leading in uncertain times. In this session, Andy discusses a skill that every leader needs to develop.